It's so hard to believe it's already mid-July and summer if half over! This summer has gone by way too quickly between busy work weeks, long road trips to see family, and taking care of our little furball. Per usual, my Type-A self felt the need to make a to-do list to make sure we don't miss out on anything this summer. And even though its still hot as balls in Charleston in September, I'm not counting that as summer so we better get to work on this list! We tried to do this last month and our plans were rained out, but I'm still holding on to hope that we can get it together! Shem Creek would be so pretty to see from the water! 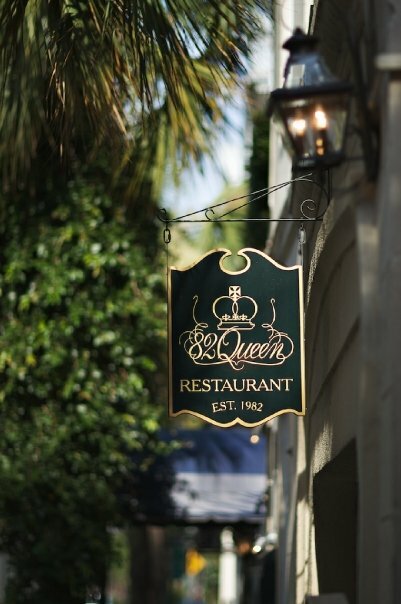 Charleston is a foodie heaven so there is definitely no shortage of restaurants to try. The problem is deciding which ones! I mentioned last week I'm trying to get back into reading in my down time so I've got a little summer reading wishlist. I need to finally finish the Husband's Secret, and then hope to move on to Where'd You Go Bernadette, the Light Between Oceans, and Gone Girl. I've also heard from y'all that the Invention of Wings and Reconstructing Amelia are good so those are on the list! Any others I'm missing? It seems totally crazy that we live 30 minutes from the beach but haven't been there yet this summer! I also haven't made much progress on my tan, so that kind of goes hand-in-hand with this one! On the agenda during the bachelorette party is a spa day and I'm so excited! I've never had a professional massage before so you better believe I'll be signing up for one of those babies! What are some of your must see or dos before the summer ends?! I have paddleboarding on my list too! It’s so much fun and such a great core workout. I haven’t loved 82 queen the past few times I’ve been, but SNOB is one of my all time favorites if you haven’t been yet! You should go to Giuliana and Bills' Italian restaurant RPM. It's right downtown and the food is amazing! Otherwise, the Michigan Mile has some of the best shopping plus you can get a little workout as you walk around the city. Great goals! Reconstructing Amelia is really good. Eat some Chicago deep dish pizza! It's epic! I agree with Michigan Mile. Great for shopping! Yay for a Chicago trip! Skip the Skydeck and visit a rooftop bar -- so much more fun! The Trump and The Ivy Hotel both have great ones! 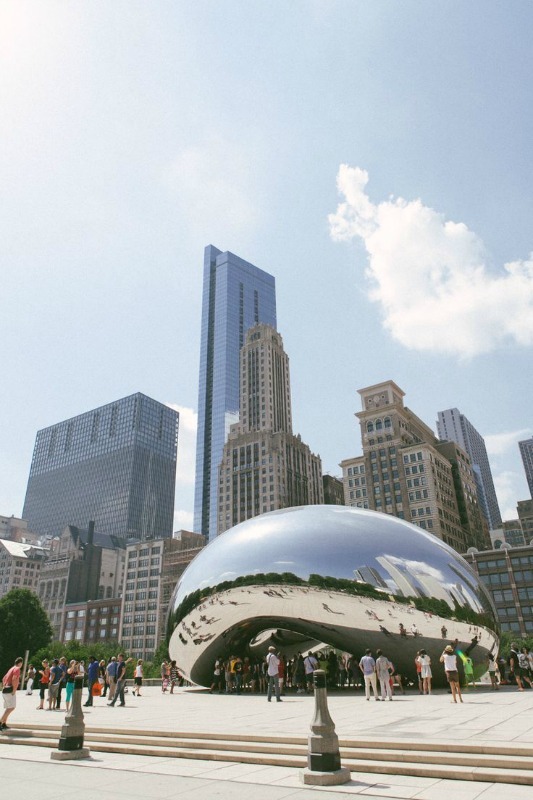 We're going to Chicago in August and even though I've been there a few times, I still have not seen the bean, so it's on my list for this trip! I recommend doing an architectural boat cruise while you're there! It's fun to see the city from the river. Sunda is a good place to eat if you like sushi! Your list is so similar to mine!!! I went paddleboarding in the Bay a couple weeks ago and I am obsessed. I wish I lived closer to water so that I could make it my daily workout routine. I also am dying to read Where'd You Go Bernadette and I crossed the Bean off my bucket list in April. Good luck with your list! Love Chicago! The bean is great, but it is always soooo busy!! You've got to go to the Purple Pig... Such a fun and interesting menu, but everything is really well done! Now that Theo's finger is better we need to go paddleboarding! I'll join you on the spa day! I want to go see the bean in Chicago too!!! It's such a fun place to visit in the summer and I'm ready to go back. I haven't been since I was a kid! It makes me so sad that summer is actually already starting to wind down since we've hit the half way mark! This is such a great list of things to round out your summer! Paddle boarding is on my summer to-do list and I'm hoping I'll get to it in the next couple of weeks! Paddle boarding is so much fun, your going to have a blast! I would love a spa day. I have never been at it sounds so relaxing. I wrote about my summer bucket list in May and I really need to start working harder on it. I want to go on a day hike. Love this bucket list! I'm so jealous of your Chicago trip! !